Hi …..it is now 10.59 pm…Saturday night. 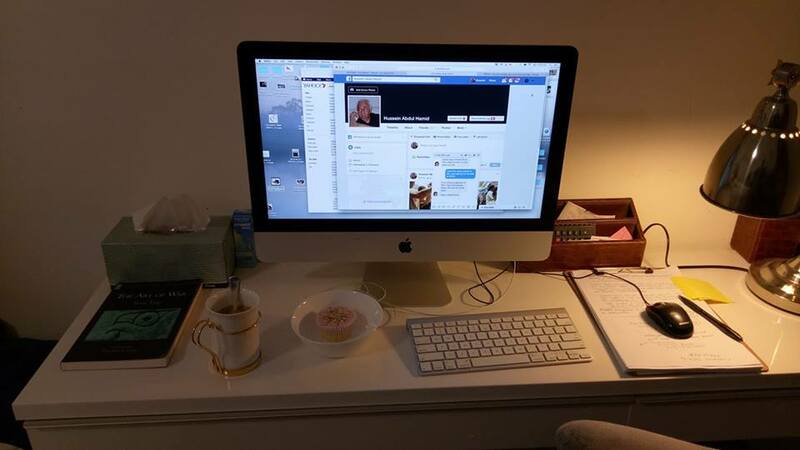 I have just put my wife to bed in the bed beside my desk, made myself a strong cup of Nescafe and given myself a treat…a small cupcake for dessert…and now about to start work on this FB and my steadyaku47 blog. I think it will be a good night tonight…have a few things I want to say and the feedback from you guys have given me the oomph to write. Thank you. PS…I know someone is going to ask me what is that book on the table. If you must know it is …”The Art of War” by Sun Tzu…..yes lah sometimes I do have a look at what Sun Tzu has to say about fighting our enemies….we need all the help we can get in this lawan!